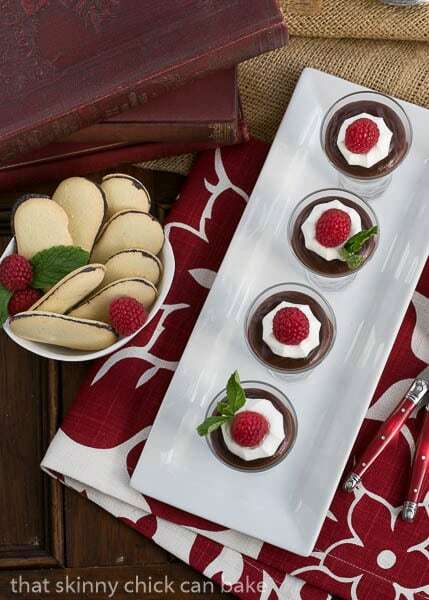 Savoring spoonfuls of Rich Double Chocolate Pudding garnished with crisp Pepperidge Farm® Cookies will allow you to focus on YOU for a few precious moments! Most women I know are busy, busy, busy. We’re natural caretakers and do a terrific job taking care of our children, spouses, friends, and relatives. Shopping, cooking, volunteering, tutoring, chauffeuring, housekeeping have all been part of my responsibilities. On days when my obligations run me ragged, it’s nice to take a deep breath and set aside a few minutes for myself. I’m all for a little pampering. Whether it’s a half hour soak in a bubble filled tub, a couple of sweet, crisp Pepperidge Farm® Milano® cookies or a special chocolate treat from the fridge, like this double chocolate pudding, I remind myself that I deserve it and so should you. I love making mini desserts–something that will satisfy that sweet tooth without breaking the calorie bank. My hubby doesn’t get the appeal, but I’m thrilled with a few spoonfuls of creamy, decadent double chocolate pudding or one or two Pepperidge Farm Milano cookies. Seriously, all I need is a few bites of something sweet and delicious to change my state of mind. I put half of this batch of pudding into pretty shot glasses and the rest into man sized portions for the husband. The larger version was garnished with a Dark Chocolate Milano, sweetened whipped cream and a plump red raspberry. For my girlfriends, I’d offer the minis along with some Mint Milano cookies. Something for everyone. This old-fashioned chocolate pudding is made with eggs and must be cooked to thicken. Once the mixture is brought to a boil, then temperature must be dropped so the pudding simmers until thickened. PRO-Tip: Because eggs are involved, you will occasionally find tiny bits of cooked egg in the mixture. For this reason, the pudding must be run through a sieve or mesh strainer to remove any cooked egg. This makes for a silkier pudding. Adding a little butter at the end of the cooking time also adds some richness. 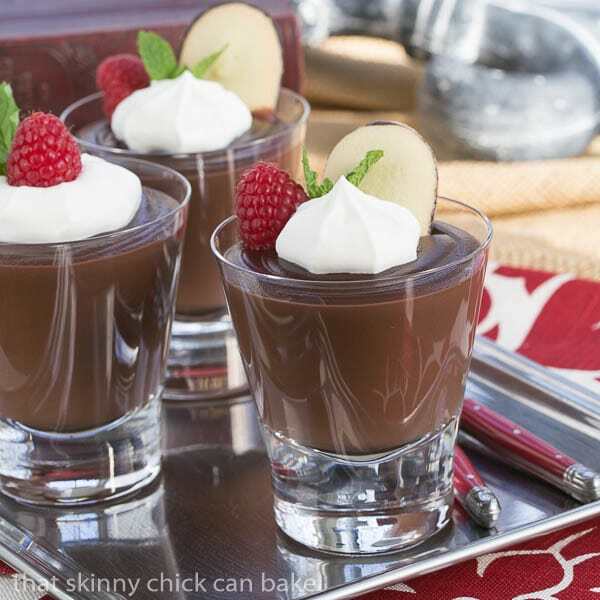 Pour your pudding mixture into serving glasses, ramekins, small bowls or shot glasses for mini versions. Place some plastic wrap across the surface of the pudding to prevent a skin from developing across the top of the pudding as it chills. Of course, if you love a thick skin on top, skip this step. 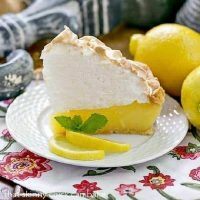 To garnish, whip some heavy cream with powdered sugar to taste and a splash of vanilla, then spoon or pipe a dollop on each pudding. Top with a single raspberry or half a strawberry and a sprig of mint if desired. 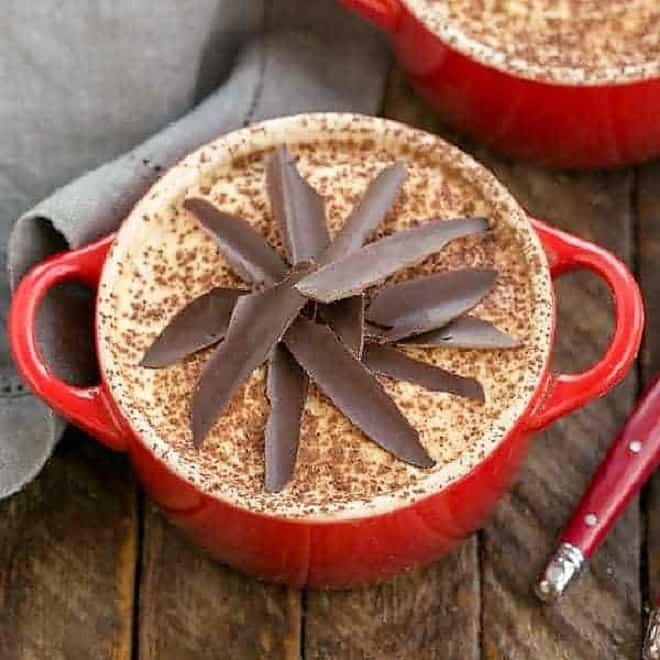 A rich pudding with a double dose of chocolate. Adapted from The Best Recipe cookbook. Sift cocoa, cornstarch, sugar and salt into a large saucepan. Whisk in half and half, then the yolks, followed by the milk. Stir in chocolate (don’t worry if it clumps a bit). Bring mixture to a boil, whisking constantly, till pudding thickens. Reduce heat and cook, stirring with a wooden spoon or spatula for a couple more minutes till pudding thickens even more (should reach 200º). Pass the pudding through a sieve into a medium bowl. Stir in butter and vanilla. May divide into individual bowls. Serve warm or chilled, but cover surface with plastic wrap before chilling. 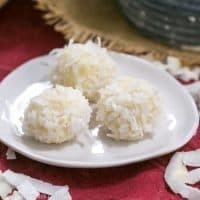 I like as well make the mini desserts , they are easy to eat and have a great success ! Love the milano cookie, here we can find it as well ! 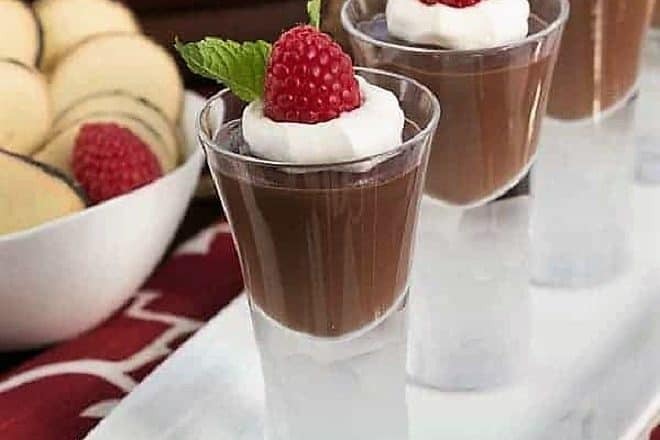 Your chocolate pudding looks extra and I find your presentation so chic ! Milanos are my absolute favorite cookie. Confession time: I can and have eaten an entire bag in one sitting! Milano cookies are my absolute favorites!!!!! Such a creative way to use them, Liz! Milanos are the best! This looks like the perfect way to enjoy them. I love mini-desserts too. Sometimes a bite or two of something sweet is all I need! Liz, oh my gawd! love this pudding!!! this is perfection!!! what do I do purely for me? Running on my treadmill to exercise and clear my head and regular manicure and pedicures!!! 🙂 these are so beautiful!!! I want one! This looks delicious! I’m definitely going to make this – love Milanos!! Mmmm…love Milano cookies. One of the things I do purely for me is to go to the library bookstore. I spend my time in the cookbook section looking for used cookbooks to add to my collection…and at great prices. 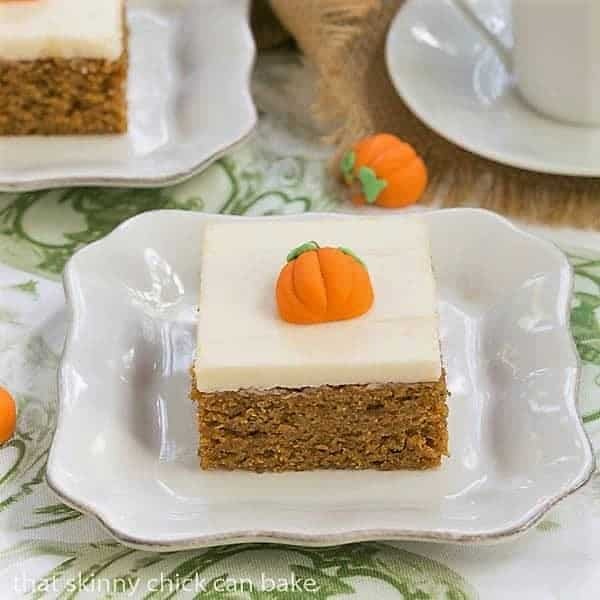 I’m with you, Liz – mini desserts are SO fun to make, eat, and photograph 😉 I just love them! Sign me up for any dessert spread that features both Milano cookies AND your sweet treats. Heavenly! Nothing beats getting a massage to rejuvenate myself! This may seem like a dumb question, but why run the pudding through a sieve? Simply damn delicious choco pudding!!! Oha I could have spoons and spoons and spoons of that pudding! Milanos are the perfect addition to your luscious pudding. So gorgeous and totally irresistible! I love these cookies. They would be great in a pudding. My favorite moments of the day…first thing in the morning when I am the first one up and can enjoy the sunrise with my coffee, my time at the gym, and the 30 minutes before I go to sleep reading my book. My moment is my first cup of coffee, early in the morning. Ha! About an hour ago, I confessed on my own community page that I once ate an entire bag of Milano Cookies! I love those things. The thing I have always done for myself and plan to continue doing for years to come is shoo everyone out of the house one day per month and make them stay gone from morning until at least 7PM in the evening. I garden, read, eat peanut butter with a spoon from the jar, have a bath, and watch sappy movies on TV…………..if things get busy and I don’t get around to it for more than 4 weeks, my husband and daughter start making plans for it…………….because I am so much more even keeled if I have that one day each month! I take time for myself by making sure to exercise and meditate! It is very important for me to have me time to rejuvenate! I also do yoga which really relaxes me. I love Milano Cookies and your dessert looks so yummy! I will have to try it! It all looks great, Liz! Anything, Pepperidge Farm, gets my attention! Have a good week! I like to enter contests or catch up on TV shows late at night. When I get the change to bake…it’s a great way for me to relax and be in comfort zone. A small glass of this chocolate pudding would certainly hit the sweet spot. And I LOVE Milano Cookies! Forever! I do enjoy my yoga class to, I set up a teacher to come to work and my colleagues participate. it is my moment. What I do just for me and it is the best stress reliever – I take bubble baths and love every minute!! I like to enjoy an iced tea. I take the time to read a good book. Oh you had me at double chocolate, I love this pudding! I like to take 30 minutes after lunch to read in the sun and soak up some vitamin D! My “me” time is running on the treadmill and watching a documentary on Netflix. aw Lizzy you always amazing me these look lovely! I love the mini sizes!! What do you do that’s purely for you? I love to sit in my rocker recliner with a warm cup of coffee and read a great book. I enjoy going on nature walks, which is the one thing I do just for me. These double-chocolate puddings look DELICIOUS !! What beautiful pudding dessert! We love to watch a fun movie, read a book in the garden, or go for a relaxing stroll and of course have a bite of dessert too! I love to rent a movie and eat ice cream by myself once in a while! What I like to do that is purely me, is clear my head and write short stories and poems. My favorite way to slow down and take time for me is to draw. I love to draw people and animals. I love mini desserts too; they are so much fun. I know that I would this lovely dessert, such a treat. I love to take a hot bath and watch a movie alone. I make sure and workout at least 3 days a week! I think I deserve a tread and this chocolate pudding would be really perfect treat! Mini desserts taste better!I I just started meditating…best thing I could have done for myself. My moment for myself = i do at least 5 minutes of yoga every morning, to get out the kinks! I am admiring your glassware! I love little mini desserts – perfect for entertaining! And Milanos are classic, too. Teeing this up for my next party! I like to drink tea to relax and read a book. What do you do that’s purely for you? What is your moment? For me, it’s blogging! I love sitting down and taking a few moments to reflect on what I’ve accomplished that week. As I write and edit, I get a chance to enjoy photos of my home and family, and to find the humor in any struggles we had. Oh this looks heavenly! 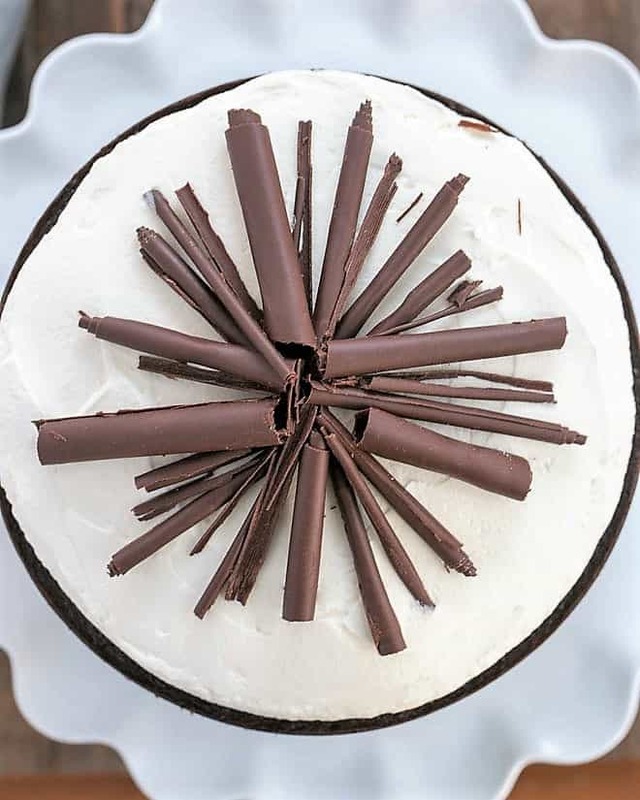 What a decadent dessert – perfect for special occasions.. or anytime! Losing myself in a good book does it for me! That pudding is seriously gorgeous, love the idea of adding the milano cookie to it! Perfection! 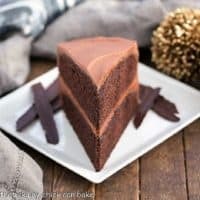 Count me in for this double chocolate dessert. I take about 20 minutes to relax and clear my mind of the days duties. My Mom always did this and she lived to be 90. What I do purely for yours truly is bicycle riding by the ocean <3 And, of course, allowing myself that indulgence of a sweet treat – like a Milano cookie! Or Liz Berg's beautiful double chocolate pudding with whipped cream! I like to go on hike to relax. What I do that is purely for me is exercise. Everything else I do is for my husband and kids, but exercise is so I can feel great. I set aside a moment of time every week to read and relax. Oh my gosh…these look and sound delicious. Definitely makes me hungry for some Milano dark chocolate cookies….I love those things! What I do for me is buy and read way to many magazines and tear out pages for recipes and crafts I’d like to try later. My moment is saying good morning to my dogs. Love those cookies. Gorgeous presentation. I need to try making homemade chocolate pudding. Pinned. I indulge in long hot showers and tune out the world. What I do is take a nice long walk and listen to my music. Looks delicious as always, Liz. 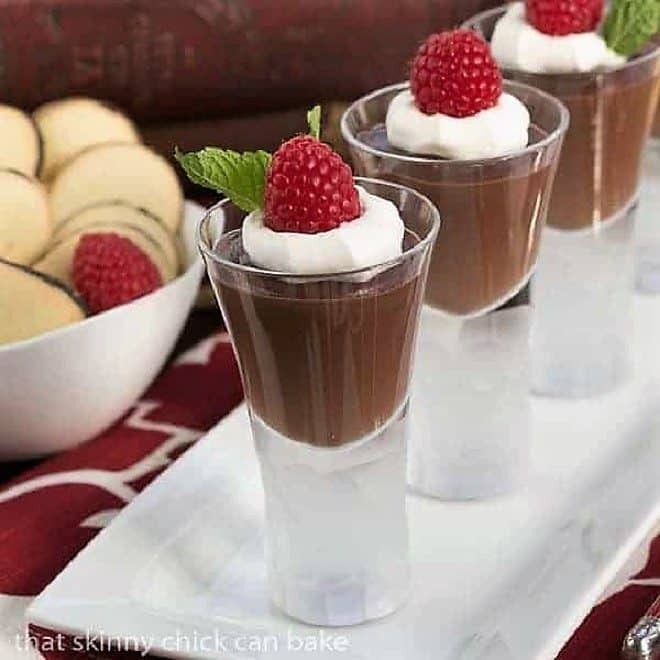 What gorgeous little chocolate desserts, Liz! I love the dark chocolate mint Milanos since they aren’t too sweet. Just the perfect amount of dark chocolate and mint. At the end of the day Netflix and a little dark chocolate is a little bit of heaven. The early morning coffee time and yoga are purely for me, my moment. These are a throwback to my childhood! I’d beg my mom every single time in the grocery store for a package of Milano cookies and promptly devour the entire bag when we got home. SO good! Sunrise yoga is my moment! There is nothing better! I like to step outside by myself for just a little bit everyday. Sometimes I read, do yard work or just sit and relax. Time that’s purely for me is time spent with a cup of coffee with frothed milk and a good book, or I work in our garden. Having a hot beverage early morning when I’m the only one up is bliss! This time of year I like to sit in my backyard with a cool drink and watch the birds nesting. Exercise — that’s “me” time. Lately, I’ve been making a yummy smoothie for dessert, then enjoying it while reading a new magazine from the library. I’d love to try that with this pudding – I love making homemade puddings!!! My running is solely for me. I hate it, but it’s for me. i take a hot bath and a glass of wine! This looks delicious! 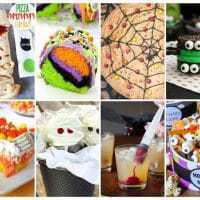 I’m definitely going to make this! i take time to relax and watch mindless tv, just for me! I like to exercise outside around my neighborhood. I find it relaxing and I love to get fresh air, see nature and clear my head. I look forward to it and miss it on days when I don’t go because I am too busy. What I do that is just for me is I wake up early and have a cup of coffee on my back porch all by myself and I get my nails done! Every morning I read while drinking my cup of coffee! This is my ME time! I go and get my nails done no kids, no husband, and sometimes I wear my headphones so I don’t have to talk to the person doing my nails. Just for me – a Yoga class which helps me relax and get centered. My relaxing time is to read a good book and drink a hot cup of coffee along with it. Probably the biggest “me” thing I do is keep a bird feeding station in the yard. It brings me a great deal of joy to watch the birds that visit, some of which I even recognize as individuals. Every time I pass a window, I stop for a moment to see what’s going on at the feeder. I try not to feel too guilty about the expense, but I do enjoy my feathered visitors. I snuggle with a hot drink and a good book. I indulge in a long bubble bath! I take a long hot bubble bath and lock the door! I like to relax on the couch with my my cats, a cup of hot chocolate, and one of my favorite tv shows. I love Milanos. I enjoy meditating as a way of relaxation. My moments are anytime I’m working in the garden, that’s my “me time”. When I workout, it is purely for me. It is for my health and sense of well-being. Binge watch Netflix when the kids are in bed. I pay dearly the next day from no sleep, but the time for myself is worth it. Mornings with a cup of coffee before the hectic begins is one of my favorite times to savor the moment. What I do purely for me is take me time to snuggle with my cat and read magazines in bed in my pjs. What I do that is purely for me is take a long hot shower and after, drink a hot cup of tea. My purely for me time is taking a nice bath…I get together a drink, something sweet to snack on, some music and just block everyone else out for a little while! Sometimes I just have to step back and ALLOW myself to do what I want, no matter what other craziness is going on around me. I like to lay in bed and read. Purely for me I get up extra early every morning to enjoy quiet time by myself. This also enables me to get to work early and enjoy the breakfast they provide. Serenity and food made by someone else! What do I do purely for myself? Sometimes I make Kahlua milkshakes in my personal blender to indulge and unwind. I add a little bit of vanilla and/or chocolate ice cream, syrup, milk, and Kahlua together. During the holidays, I like to add Publix’s brand of Barnies White Christmas ice cream instead because it is the perfect coffee flavored ice cream to go with Kahlua. I love to find a few minutes to myself to pour a glass of wine and catch up on a few episodes of my favorite shows. I love to spend some time in the backyard; pour a glass of wine and just enjoy the quiet. There is really not much I do purely for me. Perhaps reading a book is my best example of me-time. A cup of coffee, Milano cookies and a good book makes a great break from the routine. I like to sit out on the waterfront, and say the rosary. When I need a moment, I love to take a hike in the woods. While I am a long distance backpacker and can spends weeks/months out there hiking day in and day out, a hour in the woods can recharge/refresh me. This is what I do for me. I have a bath night once a week that is my moment. 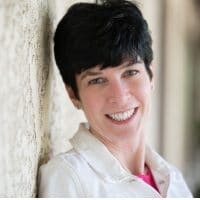 I also have lots of cozy mysteries on my Kindle, and I sneak in even just 1 or 2 pages to interrupt my brain patterns when I am stressed, and for when I am waiting on another family member in the car or at an event. I also have my secret stash of raw organic honey sweetened chocolates just for me! My morning coffee and evening bubble baths are purely for me. I like to take time for myself by going into my room and reading for a while. It keeps me from thinking about everything that is going on and just gives me a little break. Thank you! The first thing that I thought of was my pedicure or facial treats I allow myself to get. I usually get a manicure and pedicure! My moment is my walks with the dogs. I crochet. It relaxes me, makes me remember and feel closer to my grandmother and I make beautiful things. I like to have a nice cup of hot tea in the mornings. My moment is to relax and enjoy the savory flavor of the day, to enjoy. What I do that’s purely for me is I get up earlier in the morning than I have to and sit out on the patio with a hot cup of coffee. My moment is watching the sunrise and listening to the birds sing. I love to make puddings, but I don’t typically make them as indulgent as yours, altho I’m sure that makes them so much more luscious! I love to squirrel myself away with a cup of organic tea, a treat like a scone or some cookies, and read a good magazine!! homemade pudding and our favorite store bought cookies? what a perfect combo!